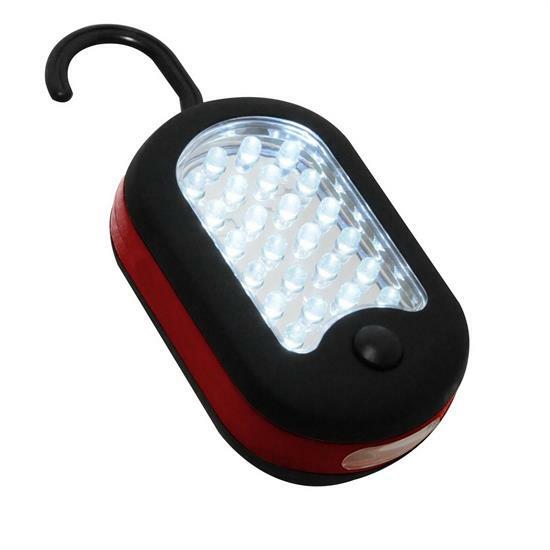 Multi-purpose LED light has multiple functions and attachments, two lighting options ? flood light and longer distance beam pattern and swivel hook adjusts to any angle. Super strong magnet attaches to most metal surfaces with a sure grip rubber finish, uses three AAA batteries (not included).